Some call this in-between animal a “coywolf,” a mashup of the two largest contributors to its genome. Others prefer the more sober “eastern coyote”—the animal is mostly coyote, but is very much distinct from the form native to the Southwest and Great Plains. Whatever you call it, this coyote-wolf hybrid is a creature of the Anthropocene: one whose evolution was set in motion by human actions, and that has evolved into an ecological niche shaped by humans. “It has been a very successful animal in human-impacted landscapes,” says Bradley White, a wildlife geneticist at Trent University in Ontario. The coywolf is a reminder of how thoroughly our species has transformed the Earth’s biological and physical landscape. But its story—now unfolding almost in our backyards—is also evidence that evolution retains powerful creative potential. Since the 1800s, coyotes have expanded their range eastward, their movement enabled by the clearing of Eastern forests and the extirpation of the wolves and cougars that once lived there. One stream of coyotes pushed through the Great Lakes region and, around 1900, arrived in Ontario. There they encountered eastern wolves, which are closely related to coyotes and had previously inhabited much of the Eastern Seaboard. 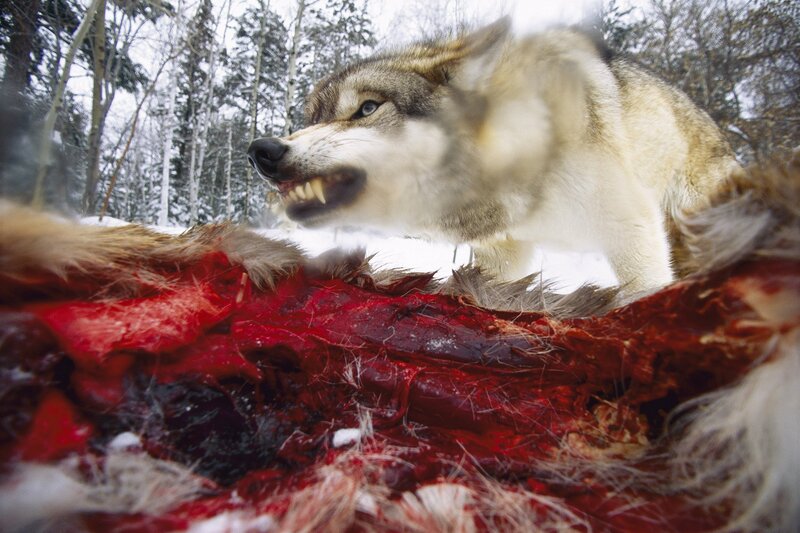 But by this point most of the wolves had been driven out by European settlers. The wolves were remnants, and the coyotes were pioneers. Neither canid, as scientists call dogs and their kin, had many choices when it came to finding a mate, and so sometimes the kissing cousins chose each other. The result—along the southern edge of Algonquin Provincial Park around 1920, according to scientists’ best estimates—was the formation of a coyote-wolf hybrid. From historical documents, scientists have pieced together how the hybrid expanded its range. Local newspapers frequently recorded sightings of the animal, which was seen as a threat to livestock. Biologists from government agencies also mentioned it in their reports. The animals spread eastward across Canada, as well as south into the Northeastern United States, arriving in far upstate New York in the 1940s or 1950s. More recently, they have moved into the New York suburbs of Westchester County and even entered Manhattan, possibly via a railroad causeway that runs from the Bronx to Inwood Hill Park at the northern tip of the island. Today, the coywolf is widespread throughout southeastern Canada and New England, south to the mid-Atlantic states and west to parts of Ohio. “It essentially reoccupied a lot of the land that the eastern wolf would have originally occupied,” says White, who estimates the animals’ number in the hundreds of thousands throughout this range. Through much of its history, people noticed the new arrival, but they didn’t know exactly what it was. Was it a coyote-dog hybrid? Were coyotes simply getting bigger as they moved east? Until recently, “everyone seemed to agree that there was something funny about it, but no one was really looking at it very closely,” says Roland Kays, a zoologist at North Carolina State University who has been studying coyotes in the Eastern U.S. since 2000. About a decade ago, scientists began to explore the animal’s genome, revealing that its DNA is about 60 percent coyote, 30 percent wolf and 10 percent dog. That genetic mix might be why the hybrids have spread so quickly and thrived; their combination of coyote and wolf traits turns out to be particularly suited to patchwork of cities, suburbs and exurban areas that characterizes the Northeast today. Coywolves are smaller than eastern wolves, live in smaller groups, and can make a living in smaller patches of habitat. “They literally fit into the landscape better than wolves do in most areas,” says Jon Way, a field biologist who has been studying their ecology and behavior since the late 1990s. They also have a coyote-like temperament—unfazed by humans living nearby, yet more elusive and less prone to coming into conflict with people than wolves are. On the flip side, their wolf heritage makes them comfortable hanging out in forested habitats that coyotes shun. And because they’re larger than western coyotes and tend to hunt in small packs, they can take down larger prey—like the white-tailed deer that are now superabundant in Eastern forests. “To have a species that could potentially play the role of top predator, top carnivore, but also is willing to put up with human activity is a big benefit, something that we may not have expected,” says Chris Nagy, director of research and land management at the Mianus River Gorge and a co-founder of the Gotham Coyote Project. At the gorge, a natural area in the New York suburbs, “deer management is probably our No. 1 conservation concern, so I’m happy to have their help,” he says. Moreover, the animals’ dual parentage makes them flexible: Those in urban areas tend to live in smaller groups and subsist on smaller prey, while those in rural areas tend to adopt a more wolfish diet and behavior. This means the hybrids can exploit all parts of the city-to-exurban gradient in a way that neither of their parent species would likely be able to do. “They are filling a niche that was left vacant after wolves and cougars were eliminated in the 1800s,” says Javier Monzon, a biologist at Pepperdine University who conducted the largest genetic study of the animals so far. Biologists considered restoring wolves to the Northeastern U.S. but were hampered by uncertainty about exactly which sort of wolf to bring back and political controversy about where in the landscape wolves do and don’t belong. Now it appears that instead of restoring the wolf of the past, by happenstance we’ve sparked the emergence of a newfangled predator to replace it. “This is kind of the return of the DNA,” White says: The hybrids are bringing wolf genes back to the Northeast. Hybridization—or the genetic mixing of two distinct kinds of organisms—is often considered a threat to biodiversity. Sometimes that’s true: The golden-winged warbler is threatened by hybridization with the closely related blue-winged warbler, which is expanding its range. 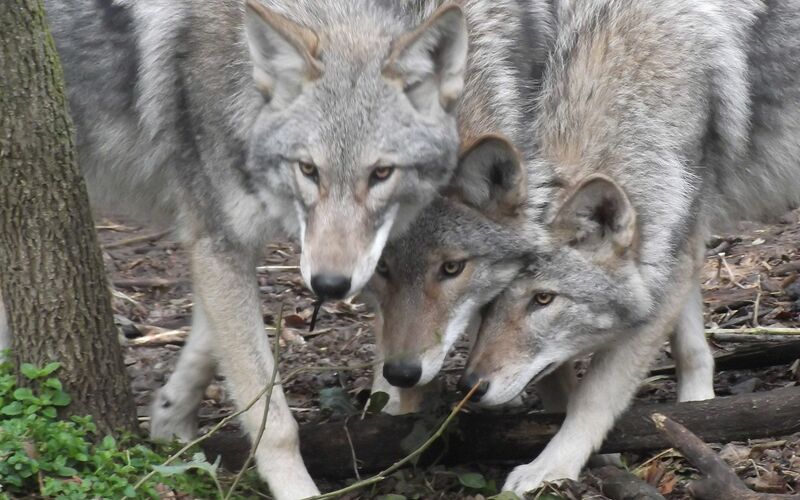 But this meeting of coyote and wolf suggests a different view: “Hybridization is actually one way in which evolution occurs over time,” says Bill Lynn, an ethicist specializing in wildlife issues. Lynn and Way argue that the coyote-wolf hybrids should be considered a unique species, because their appearance and genome are distinct from other canids, and in the core of their range “they’re just mating with others of their own kind,” says Way. No one knows what will happen in the coming decades as the hybrid population expanding south and west from New England meets—and likely mingles with—western coyotes expanding their range eastward. There’s even evidence that hybrids are migrating back across the Canadian border into the Midwest, which is already home to western coyotes. Evolution isn’t done with these creatures yet. Nor is it clear what will happen as people become more aware of these animals, and as more of them move into heavily populated areas. Wolves have their detractors, but they also inspire passionate advocacy (perhaps in part because relatively few people live in close proximity to them), and they are protected as an endangered species. But there’s less romance associated with coyotes—people participate in coyote-killing contests and many states permit almost unlimited hunting of them. Will we think of the hybrids more like wolves or more like coyotes?